Johnny Seitz, born with the affliction of Autism, went on to become an accomplished professional ballet dancer, mime, martial artist, lecturer, Life Coach and Author of “Bio-Typing: Beyond Body Language.” As a way of coping, living in a “normal” world he developed BioTyping which now he is using to help the “normal” people figure out “our” world. He will change the way you look at the way we literally “move” in our world. A truly rare individual is Johnny Seitz. Born with the affliction of Autism, Johnny was a stereotypical example of the withdrawn child, rocking back and forth, banging his head against the wall or the bedpost, with minimal social interaction. He was then determined to have a high-functioning form of Classic Autism (such as what had befallen the famous Temple Grandin). 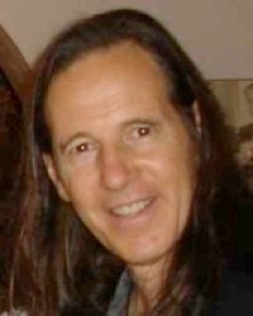 As an adult he became an accomplished Ballet dancer, a professional mime (trained under the great Marcel Marceau), a skilled martial artist, a top University Lecturer (Harvard, Princeton, NYU), an accomplished Trainer, a Life Coach, an author of several new-paradigm books and DVD materials, a happy spouse and family man of 25 years…and an amazing Healer. Johnny’s Savant-Genius intelligence constitution has allowed him to create an Integral Meta-System called “BIO-TYPING”, which allows him to achieve incredible, rapid, favorable results with Rehabilitation Patients and Clients suffering multiple disabling conditions such as: CerebroVascular Accident (Stroke); Post-Traumatic Stress Disorder (Iraqi War Veterans); Addiction; NeuroMusculoSkeletal Injury; and even Cancer. He has applied His System to many other ‘Normals’ to help them achieve peak performance levels in their physical activities, personal Life, and in business. In his book, “Bio-Typing: Beyond Body Language”, he outlines the simple-yet-elegant categorization schema of three mutually-exclusive and distinct groupings for virtually all People: Forward-Faller; Backward-Faller; and Torso-Sway Walker. Through astute observation of a brief several seconds of an individual’s gait, posture, and body movements, He is able to de-code a matrix characterizing the Bio-Psycho-Emotional-Energetic-Mechanical-Historical dimensions of that person’s life and makeup. Through an intricate-yet-simple set of adjustments and integration exercises, the trauma and blockages of these disabling and limiting conditions can be overcome, with Healing effects extending through the physical – social – emotional – mental – and even spiritual bodies. Johnny teaches, trains, coaches, and transforms clients out of His studio in Culver City, California, USA. He travels and lectures extensively.